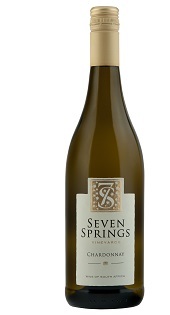 This wine shows all the classic yet fresh characteristics of Chardonnay produced in the cooler Overberg region. On the palate the wine is weighted and complex with clean fruit flavours, lingering minerality and striking acidity. Aromas and flavours of ripe apples, tropical fruit, white florals, hints of a nuttiness and even coconut. We recommend sharing this wine with friends over a crispy pork belly, a roasted chicken or even a curry. Perfect serving temperature is vital and we recommend 14-16°C. 2016 was an altogether tougher vintage, early ripening varieties and mid-season varieties ripened at the same time, which meant that the season was compressed into a relatively short period of time. Our first grapes were picked on the 26th of January and the last were harvested on 4th of March. With the increasing threat of drought and higher incidence of very hot sunshine South African yields are decreasing, a trend which is likely to continue. 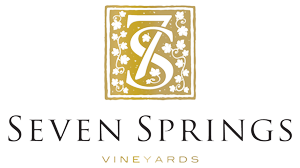 Luckily for Seven Springs we have fresh water springs in the mountains above our vineyards, but we still endured the incredibly hot days during the ripening season. Our Chardonnay vines are now 9 years old and the fruit produced is showing the maturity. This wine was barrel fermented in 300L older French oak barrels; naturally occurring yeasts on the skin of the grapes kicked off the fermentation process, but a selected yeast was used halfway through vinification to ensure the desired flavours were produced and that all the sugars were converted to alcohol and the wine is “dry”. The wine then matured in those very same barrels for 11 months.